It was like an old Hollywood movie premiere. Flood lights swept the front of a gleaming brick, steel, concrete and glass structure on South Figueroa St in Downtown Los Angeles. The cool Tuesday night air probably even sent a shiver under nearby Tommy Trojan’s tunic. There was a phalanx of valets and even a red carpet. Motor Village of Los Angeles, as this dealership is known, is the first of its kind. 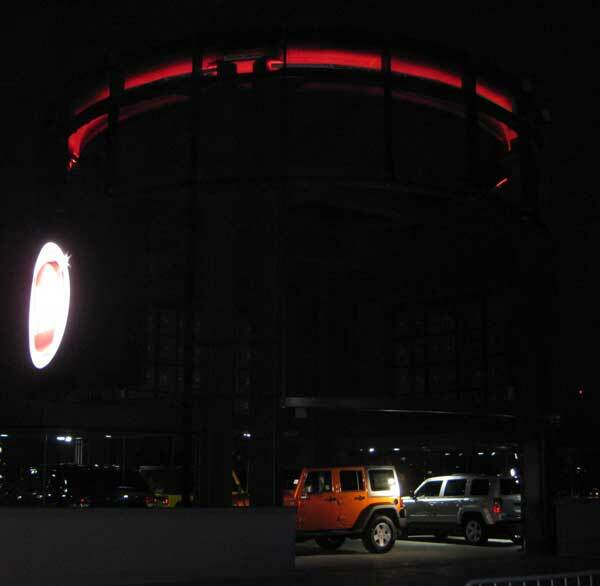 Chrysler says it’s a prototype for future stores and the first effort in a program called Marketing Investment. 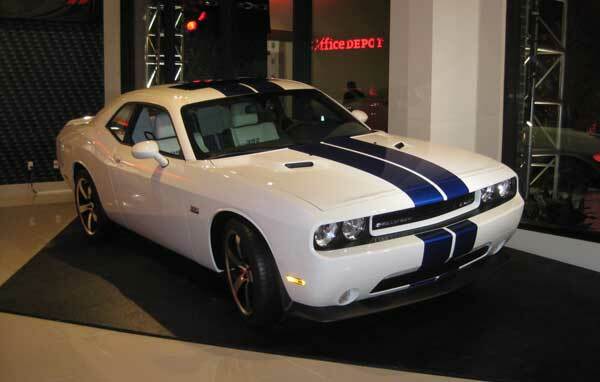 Chrysler plans on identifying areas where the company wants a presence. It will purchase land and finance the building of the dealership. A dealer may or may not take a minority interest in the project at inception; but eventually Chrysler plans on selling the store to a dealer. Motor Village is located at 2025 South Figueroa St, Los Angeles 90007. Cool building! 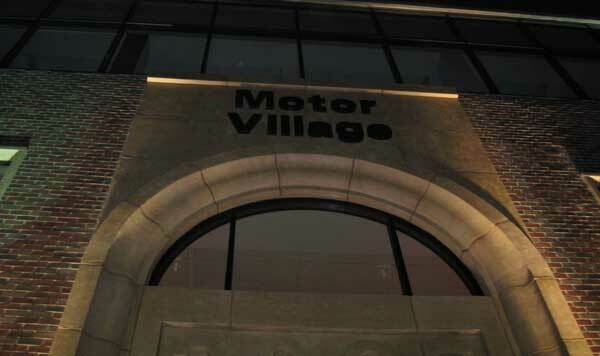 The new facade of Motor Village beautifully integrates the signage for each brand. This particular location was a Pierce Arrow dealership in early part of the 20th Century. However, the building has undergone significant structural and architectural changes to be the massive four story, 180,000 square foot glass and brick box it is today. The large, circular sign tower structure on the north west roof corner is so close to the Harbor Freeway that they are going to need a small maintenance army to keep it shiny clean. Motor Village's rooftop sign tower. It's a tall structure, wish the picture was better. The first floor housed the Dodge, Jeep and Chrysler vehicles. I don't know what was on the 3rd Floor. Maybe offices or maybe it will be a Chrysler showroom. Drinks, espresso bar and cocktail food were on the second floor Fiat Studio that overlooks Figueroa Street. 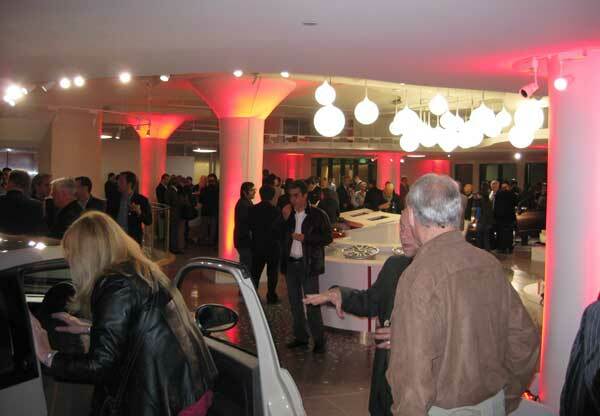 The full bar was in the Ram Truck showroom in the back of the Fiat Studio, adjacent to the parking structure. The reception, platitudes and unbridled optimism was on the roof as were more cocktails, sublime desserts and one monstrous cake in the shape of the Fiat 500, but it was almost about the size of the original500. 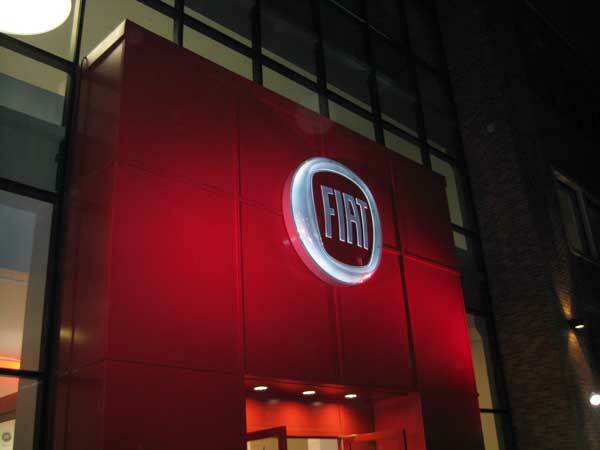 Motor Village has a separate, flashy entrance for its Fiat Studio. 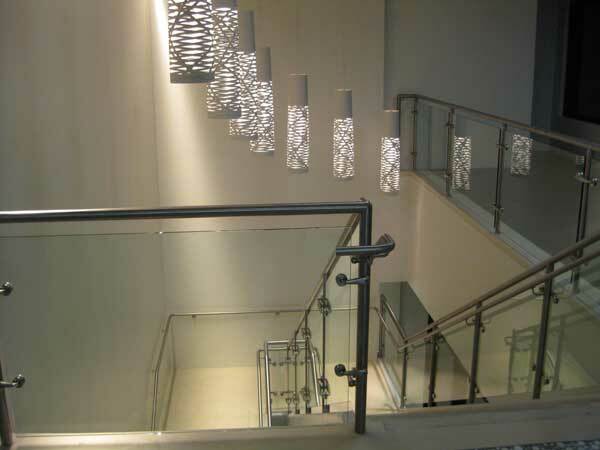 This is the separate-entry staircase to the 2nd Floor Fiat Studio. You know deep pockets were stroking the check for this event. All the food (with the exception of the cake) was catered by Mario Batali’s Osteria Mozza, one of my favorite restaurants in the city. 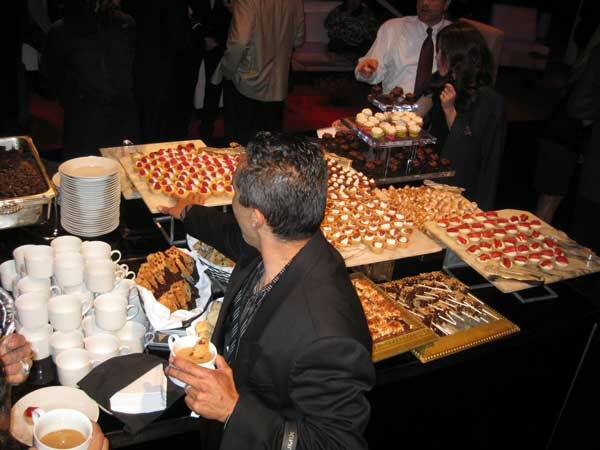 The catering staff was wonderful, forcing us to eat all those scrumptious Italian delights. 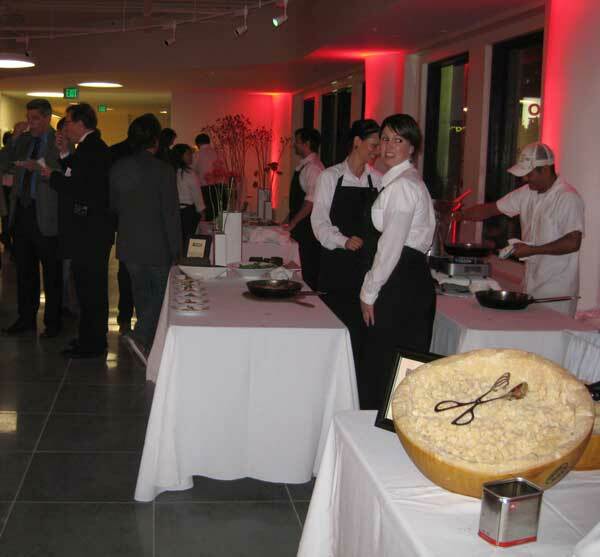 Some of the catering tables at the Fiat 500/Fiat Studio preview event. The rooftop dessert tent and speaker area was worth braving the chilly night air. Cake anyone? I don't know how they cut this thing up or even if they did it. I left before it was decimated. This was the first time I’ve seen a Fiat Studio – as envisioned by corporate – and it’s the first time I’ve seen the Ram Truck brand separated from its longtime companion, Dodge. 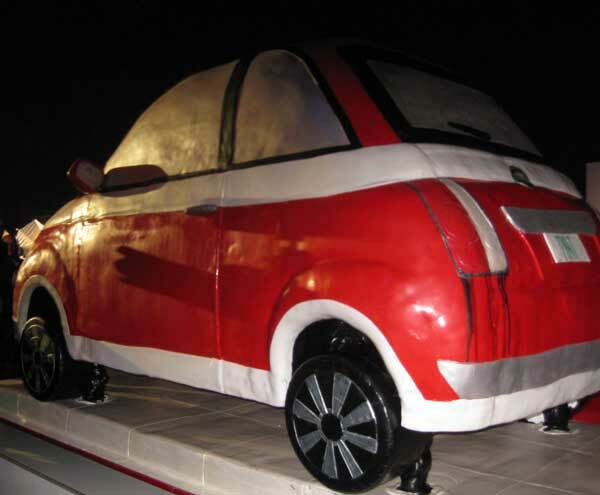 The Fiat Studio was high-tech red and white lacquer – kind of like a Pedini kitchen meets a W Hotel lounge. The Fiat Studio area was beautifully-lit with live dj ambient music. 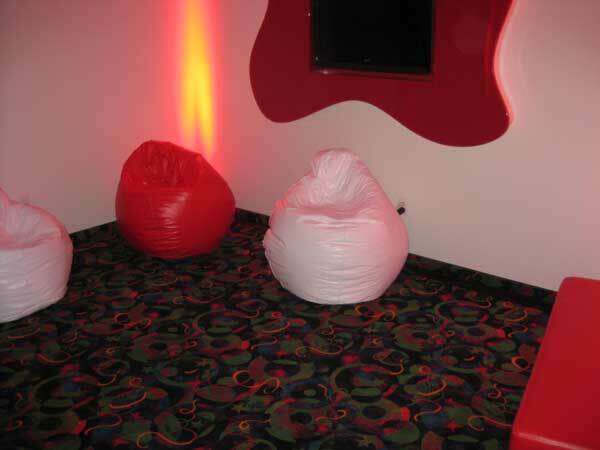 I think this was a play area for kids. Keep them busy and happy while mom or dad picks out a Fiat 500. An artist applied a custom paint job to a new 500. There was a clothing and accessories shop in case you needed to drop some coin on expensive Italian goods. 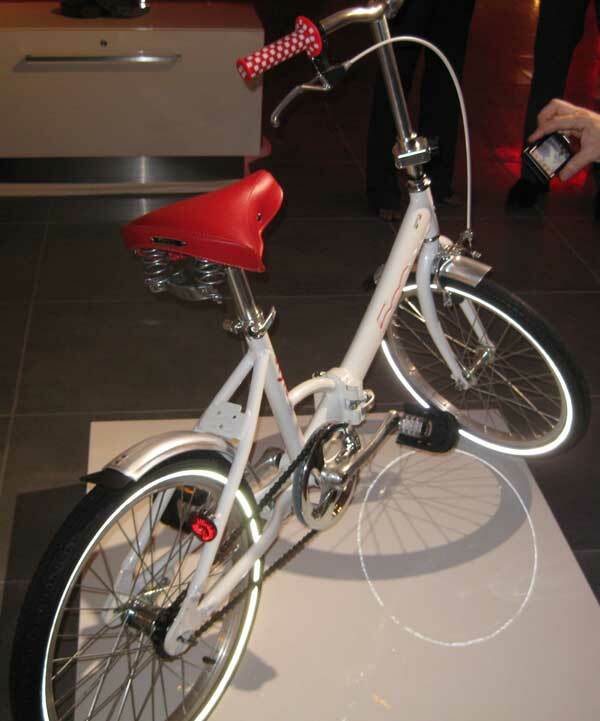 Anyone want a Fiat bicycle? For all the optimism I couldn’t help but feel that this ultra costosostore was a real Hail Mary pass. 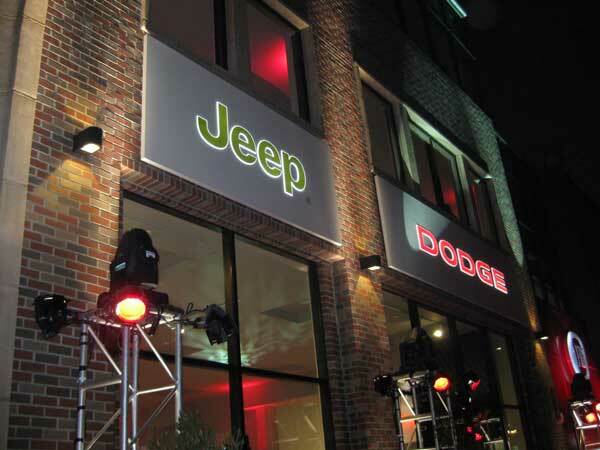 If the purpose of this dealership is to sell Jeep Wranglers and Fiat 500s to USC students and the poor suckers who bought into the decades-long hype of Downtown revitalization, then it succeeds. If it is meant to reach a broad swath of desirable demographic buyers in the LA Metro corridor, from Santa Monica to Silver Lake, then I’m not so sure. Even the survival of Chrysler is still up in the air. Chrysler says this store will be managed by “a couple” of experienced dealers, but has yet to name them. And if those dealers were asked to pay back the significant investment in real property, I doubt they would be profitable anytime soon. Concurrent with this event, Chrysler released a list of 130 Fiat dealers, with plans to add another 35 to cover 119 markets it identified as having “strong growth potential” for small car sales over the next five years. Huh? 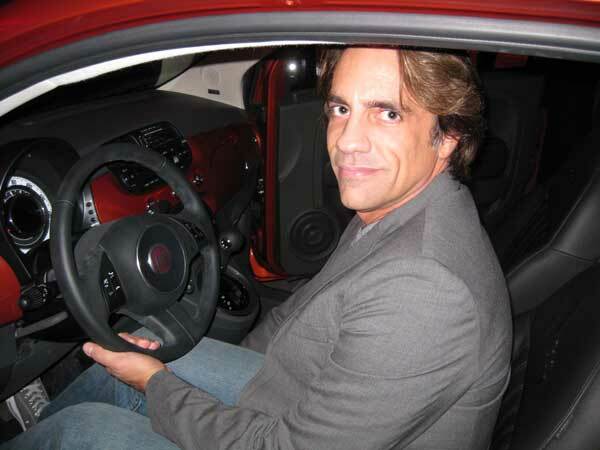 Fiat of Downey? If you thought there was something missing on this list, you’re right. Nothing in Santa Monica, Culver City, West LA, Beverly Hills, Mid-Wilshire, Hollywood, Glendale, Pasadena, Sherman Oaks, Van Nuys or Woodland Hills. If I wanted to buy a Fiat 500, I’d have to go to the USC-adjacent Motor Village store for sales and service. Ugh. But to be fair, MINI, Fiat’s only competitor, doesn’t have many stores either. In addition to Nick Alexander in the industrial area south of Downtown, there is MINI of Universal City and Monrovia MINI. 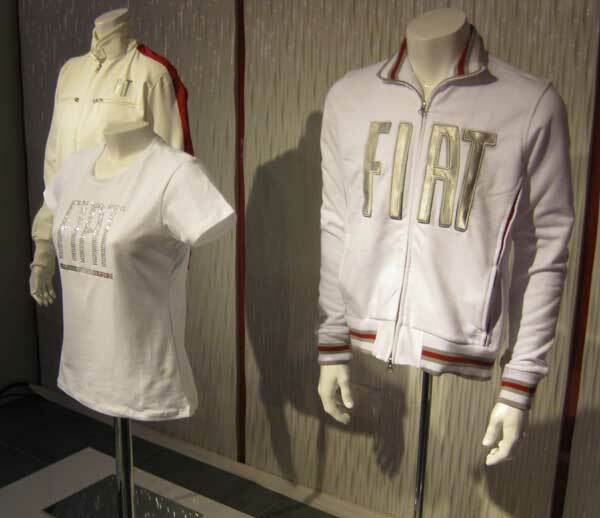 If Fiat wants to compete better in the LA area, it will need at least one store between Downtown and Santa Monica beach. I hope that’s in the cards with the yet-to-be-named franchisees. I didn’t get to drive the Fiat 500 at the event, but we had lots of open cars to examine, adjust, kick tires and slam doors. Like the MINI Cooper coupe, I just fit comfortably in the driver’s seat and no one can sit in the back seat behind me except my miniature dachshund, Augie. Unlike the MINI, I found the dash and center console ergonomics much more intuitive and user-friendly. This potential customer seemed interested in the little "Rosso" 500. 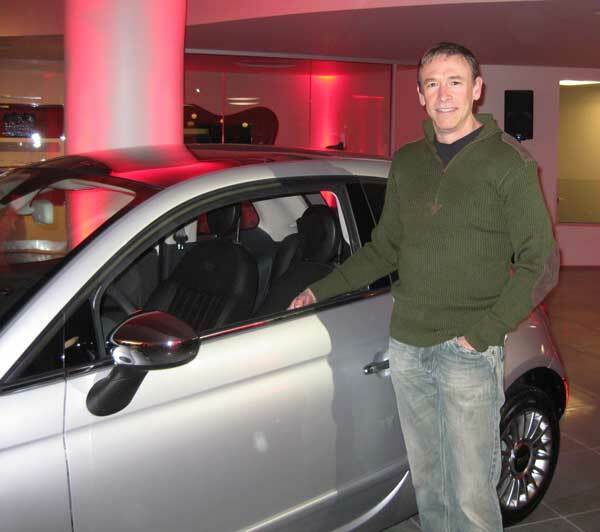 This is me next to a silver, I mean "Argento" - Fiat 500. This color is "Espresso." The interior is also a combination Espresso-Avorio. 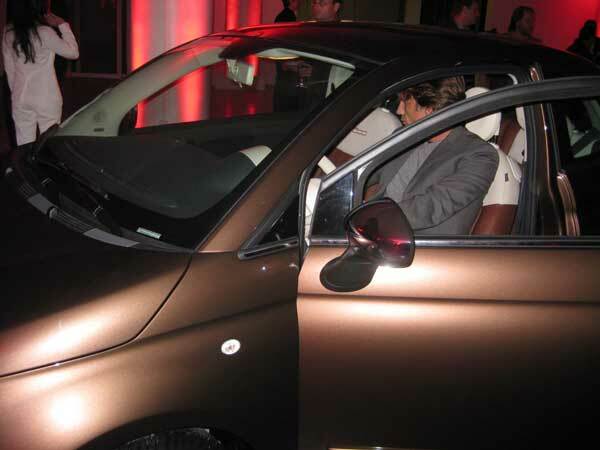 I don't see that interior color on the Fiat website, but it might be available for order when the cars, built in Mexio, start filling the pipeline early in 2011. I think Fiat can work in major metropolitan areas where parking in precious and people can use it as the latest fashion accessory. I can already see it being used for delivering pizzas or shrink-wrapped to advertise computer repair or some designer vodka. Bentornati negli Stati Uniti, Fiat. Buona fortuna! Volkswagen’s European-Spec Jettas will get more sophisticated underpinnings than their US cousins when they reach UK dealers in the first quarter of next year. While US Jettas make do with a simple torsion beam set-up at the rear, European versions get a four-link system similar to the one used on the Golf. The system differs from that of the outgoing Jetta, too, because the car now sports a wider rear track as well as revised springs and dampers. 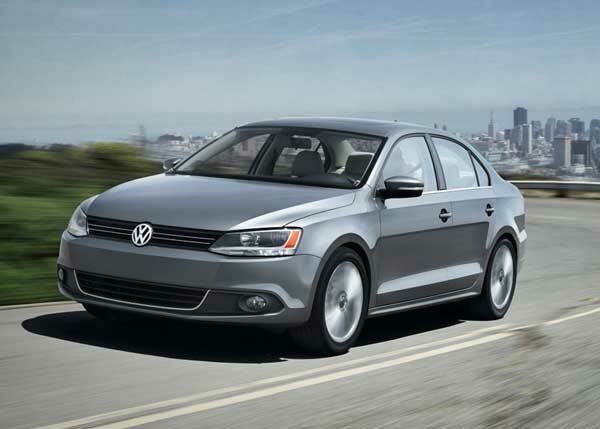 European buyers can choose from a range of VW’s TSI and TDI engines. Petrol units include a 104 bhp 1.2 TSI and 120 bhp 1.4 TSI options while the diesels are a 104 bhp 1.6 TDI and a 2.0 TDI with either a 138 bhp or 168 bhp. A range of manual and DSG gearboxes are also on offer. Other changes for the European model include the adoption of electro-mechanical steering system as standard. European Jettas will also get higher-quality materials and trims for their cabins. Three spec levels will be offered in the UK: S, SE and Sport. Standard kit will include six airbags and ESP. 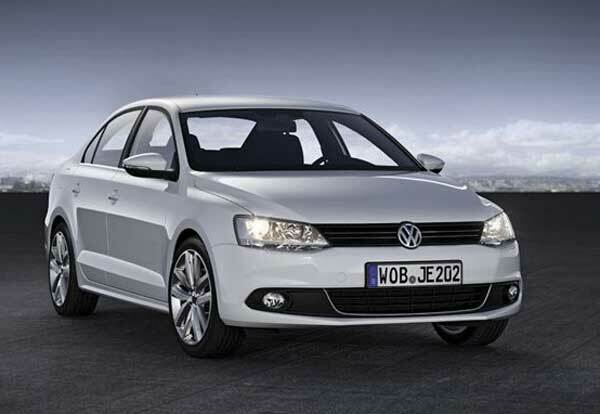 The new Jetta will be built at VW’s Puebla plant in Mexico, also the production base for the firm’s next Beetle. UK prices are expected to start from around £17,000, similar to today’s car. Okay, so in Europe and the UK, customers get a brand new car with the same high quality for the same price. In the US, we get a lower price with diminished quality so VW can (supposedly) compete with a Honda Civic or a Toyota Corolla. Down the tubes are decades of positioning the VW brand as a step above the lower Japanese competition. You got great German engineering and cabin quality (not to mention a choice of upscale options) for just a bit more than the competition. Way to go, VW, throw mud in the face of your devoted fan base. The US-spec 2011 Jetta. In the sheet metal, it's very non-controversial and deadly boring. The corporate grille doesn't work well on the Jetta. It just makes is anonymous. The exterior of the 2011 Euro-spec Jetta doesn't look much different. It's what's under the "bonnet" and the chassis components that will make a world of difference. The interior of the 2011 US-spec Jetta is very disappointing. The plastics are hard to the touch and some of the switchgear feels cheap. It's definitely a step down from the previous Jetta. The Euro-spec interior will be up to VW's usual quality standards. It's hard to see the difference in pictures, although the climate control area is better in the Euro version. They get automatic climate control. We don't.